How to organise a heavy metal baby shower? Right now, organising a baby shower is the thing to do. And of course, it’s great fun when the baby shower comes as a surprise to the pregnant lady. But what if your best friend is a genuine metal head? Then you’ll obviously have to organise a metal-themed baby shower. Carry on reading if you want to know how! 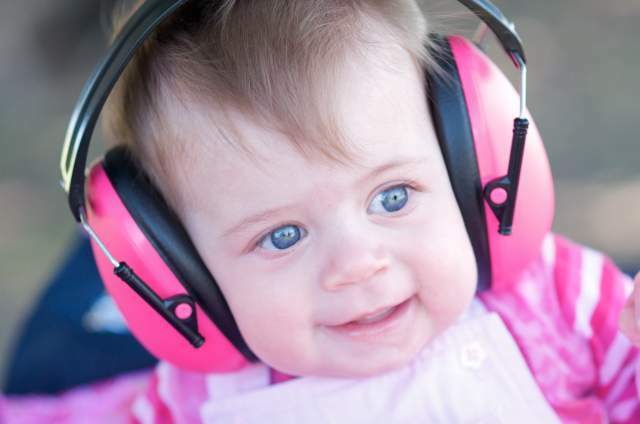 How to protect your kids’ hearing? Do your kids jump for joy when you tell them about a new concert or do you personally play in a band and want to take your child with you sometime? It can get rather tough during live concerts - and then we’re not just talking about the mosh pit ;-) Good-quality hearing protection for children during concerts is certainly no unnecessary luxury. But what are all the things you need to consider? Help! How to buy a guitar for my child? “Mum, Dad, I want a guitar!” Awesome that your child has decided to become the next Steve Vai, but what now? Once you can see that your kid is serious and the instrument won’t be discarded after a week, you ask yourself: How do I buy the first guitar? We’ve got a few handy hints for you, courtesy of The School of Rock. It’s never too early to start introducing your kid to your love of rock music. You just don’t want to expose them to the whole gamut of lyrics that come with the genre yet. That’s why we selected these 10 awesome child-friendly rock anthems, giving you some solid rock tunes to headbang and roar along to together, without a care in the world. How can you make your rock star’s children's party unforgettable? By organising a real “rock style” children’s party yourself! Littlerockstore has collected the greatest decorations and tips to let you hold a rocking party that all the kids will remember for life. A rock party does, of course, start with the right invitation. You can look for a rock style card, you can have one made or you can make one yourself! How cool is that! Ask your guests to prepare for a real rock party and come dressed in style.